In the middle of a quiet street in Muttrah with its dim streetlights, cat-inhabited dustbins, and low-rise white-brown buildings, my parents found me a little piece of home, and I found a little piece of family. In September 2003, a few months after we had just moved to Muscat, Oman, I attended one of my first Carnatic music classes. I was enthusiastic, and I had a natural affinity for music – passed down, no doubt, from my father and his family back in India whose love for music is so pure that it has transcended into every one of the grandchildren. During this journey spanning eleven years, several ups and ever so many downs, and ending in my arangetram, the three-hour solo concert that officially marked my transition from student to performer, I learnt about people: how they weren’t always the same, how they didn’t have to be the same as me, and how each of them could and would teach me something. But, mostly, I learned how to love them. 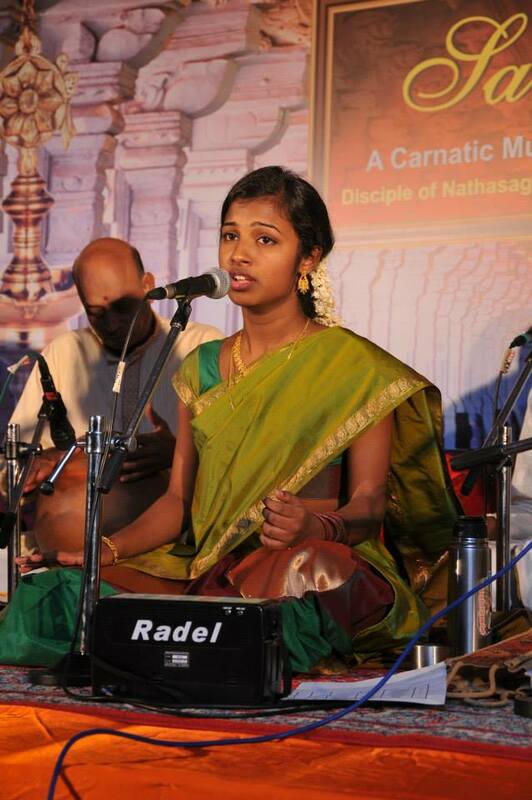 Carnatic music is a branch of Indian classical music that originated in South India. It is a wonderful system of music –melodious and mathematical, sharpening the mind in very aspect with every nuance one learns. My music teacher was supremely skilled at what he did. The quality of his teaching was par excellence; he was rigorous with his training, and he kept us working hard. But he also had his own, old-fashioned ideas of what the ideal Carnatic student was. 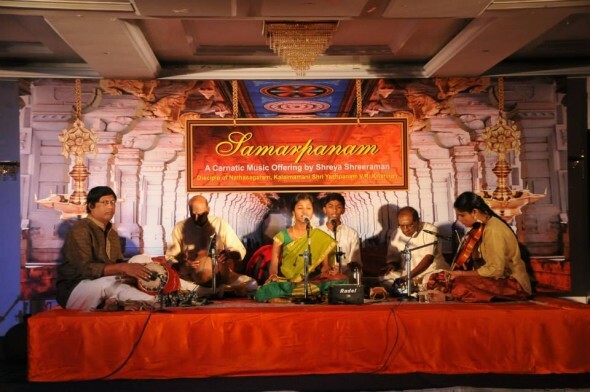 A lot of his ideas had to do with the traditional Gurukul style of learning Carnatic music in ancient India, in which a student lives with the teacher, learning and singing and breathing music. For the first three or four years of lessons, my life was relatively stable. As I began to progress to higher levels of music, however, my life began to intertwine with my class excessively; like a vine that is separated from its support, I wouldn’t know what my life was without music classes. My one hour-long class grew into two and three hour-long sessions. I began to miss my friends’ birthday parties and outings. The only constant things in my life became this class and the people associated with it. My parents were constantly caught in a conflict – several times, we’d make the decision to simply leave the class, but somehow, we could never find it in ourselves to make it happen. As much as they wanted to relax the schedule of my classes, they also wanted me to carry on with the musical tradition that was important to them—and clearly, I had a talent for and an interest in, this music. And so I carried on. When we started to do public performances, the routine escalated to a new level. I started to take my homework and dinner to the classes, making the most of my scant break times and grumbling to my parents every night as we travelled back home. Steadily, this routine became a part of who I was. “Of course she missed the party, she was in her music class.” It was two days before a concert. “Come on, you can skip ONE class for me, can’t you?” Parties would never work as a good enough excuse to skip class. “You never come anywhere with us!” My parents hadn’t seen me properly in a week. I was realizing, however, that in the midst of becoming a teenager, being frustrated with my music class, and the ever-changing dynamic of my social life, something very special within my teacher’s crusty old apartment kept me going. For the longest time, despite the striking differences in our personalities, my music classmates and I were each other’s support systems. The music had become something that belonged to us, our secret, a shared something that nobody else understood. In the little jokes about Sanskrit words that we barely understood, in comparing whose raga prowess was better, in a million little moments that nobody but us would ever understand, we found home. Our relationship within the confines of our music class exceeded any friendship I had with anyone else. They understood – and this understanding was enough to bind a bunch of middle-schoolers into a family. Even now, the picture-laden, crumbling walls of my teacher’s tiny apartment hold some of my most terrible and precious memories. I remember the evenings that our teacher would be in an unusually pleasant mood, taking time off the lesson to show us pictures of his latest concert in Germany or Sweden as we huddled by his computer looking at pictures of him and his concert buddies – old, mustachioed men snapping pictures of anything and everything. I recall the days when we sat together in horror, our teacher growing somber and reminiscent as he told us terrible stories about his days at war. I remember us bursting into outrageous rants in the balcony when something was particularly unfair or frustrating and the palpable empathy in the air around us as one of us got taken to the small kitchen for a particularly harsh telling-off or even a spanking. I remember hearing the faint notes of a violin or little voices singing in unison growing stronger as I walked up the stairs to the apartment every day, filling me with a quiet happiness. I remember, in my final years in the class, learning to love my teacher along with my classmates. As we grew up and went away to college, we haven’t kept in touch. I don’t know what my former classmates do every day of their lives. I don’t know what kind of people they have grown into, but every now and then, I think of them and I wonder. And then I am filled with gratitude that they existed in my life. Below: A video of Bombay Jayashri, one of the author’s favorite Carnatic musicians.